Live pictures of a scientific mission near the Seychelles were sent optically through the waves of the Indian Ocean to hundreds of AP customers around the world, marking a new form of live underwater broadcasting. Sandy MacIntyre, vice president and director of key initiatives, explained how AP transmitted the video in real time. How does the technology work? What kind of equipment was used? The technology uses the blue region of the electromagnetic spectrum to transmit from two-person submersibles back to a receiver that trails under the diving vessel. From there we used satellite tracking antennae to uplink the footage to AP’s production hub in London, and from there to hundreds of news outlets around the world. 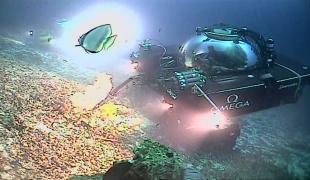 Previously, any real-time footage from the deep was a single camera shot, sent over a low-quality digital livestream and it required underwater cables and a time delay. This untethered, high-definition, live broadcast allowed AP viewers to be taken on a fascinating guided tour of a hidden kingdom by the scientists conducting the research. How much planning and preparation did the live transmission take? This adventure was nine months in the planning – the last two of which have been intense. Why was it important for AP to undertake this challenge? 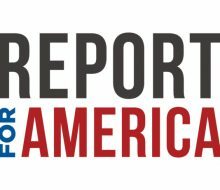 AP sees climate as a story that we must continue to excel in reporting. It impacts everyone on our planet. What does this mean for the future of live video? It means greater freedom to use the technology to do untethered live broadcasts from the deep, which are not restricted by cables being caught on rocks or subsea objects. Literally we can be firsthand reporters in an unexplored world. AP’s coverage of the Seychelles ocean mission is available online.